IMPETUS DEFENCE is a project between IMPETUS Afea, Nammo, the Norwegian Defense Research Establishment (FFI) and the Norwegian Defense Estates Agency (NDEA) running in the period 2015-2017. 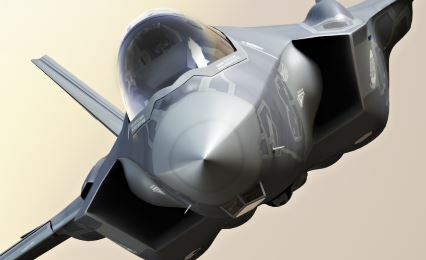 The aim is to develop new defense capabilities in the IMPETUS Afea Solver. IMPETUS works with the customers to create new software functionality aimed at describing processes relevant to the partners. "We see 50 times speed-up of our bullet-sand ricochet simulations using IMPETUS unique GPU technology"
Among the highlights is a new functionality for 2-phase powder burn modelling with strong coupling to the finite element module, applicable both for internal and terminal ballistics. Furthermore, focus is placed on modelling concrete structures for protection against blast loading and ballistic events. 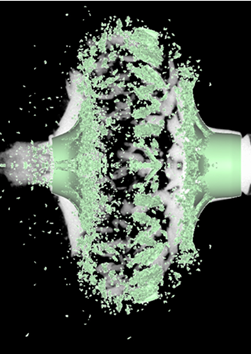 X-ray of fragmenting grenade with IMPETUS simulation placed on top. Courtesy of Nammo and FFI. Sand-ricochet simulation using IMPETUS software. Establishing a joint development project requires time and careful planning of budgets and scope. However, extending and improving the software together with customers like FFI is fundamental in our development strategy.